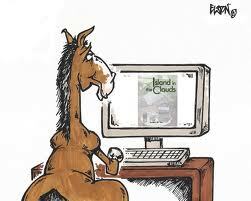 As I watched Oxbow run away with the Preakness Stakes on Saturday afternoon, I mused how my reading resembles a horse race. I pick up several books at once and rank them on their pedigree, which includes past novels by the same author, recommendations from online friends, and finally what they look like. I often put my money on a flashy outsider and occasionally regret my choice. I read a bit from each of them and then pick one to settle into and the race is on. If my attention wanders, I fall on one of the others in the pack. Sometimes the first one grabs me and it is a leader from start to finish just like Oxbow in Baltimore. One such winner was Chris Grabenstein's latest, Free Fall, which was first out of the gate. The story opens in early June at a beach resort on the coast of New Jersey, which is getting itself together after superstorm Sandy. Sea Haven, home to its police department's dynamic duo John Ceepak and his partner Danny Boyle, has taken eight months to pull back from the brink. Danny, who once thought of Sandy only as one of his favorite Bruce Springsteen songs, has had a few other things torn asunder. After a mayoral election, Danny found himself gifted with a new partner, Sal Santucci, who thinks of nothing but food, and Danny has found himself the "Keeper of The Code" of police conduct. There is nothing worse for policemen in small towns than to be called to a scene of a fight to hear an old friend disclaim, "I didn’t do anything!" On this particular occasion, the friend, Christine, was a close friend of Danny's late, greatly-lamented love. This turns out to be a she-said/she-said situation, but before long, Christine is embroiled in a worst-case scenario involving murder. 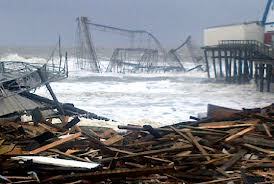 After this battered seaside vacationland reclaimed some of its amusement rides from the surf, one of the rides has been transformed with new lights, sound effects, paint job and a new operator: Joe Ceepak, John's father, who has ridden into town to harass his son and former wife. 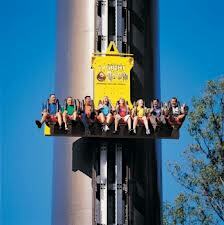 The ride's name is the Free Fall. Freefall rides have three distinct parts: a ride to the top of a tall tower, a momentary suspension and then a downward plunge. The ride is actually a metaphor for the mystery. The story gathers momentum, as John Ceepak and Boyle are reunited to investigate the murder, while simultaneously try to keep the reins on old Joe Ceepak. Joe's ex-wife has come into some money. Joe feels he is entitled to some of this legacy and is willing to go to extreme lengths to accomplish this––even kill someone, if he can stay off the sauce long enough. Ceepak the younger has his hands full. 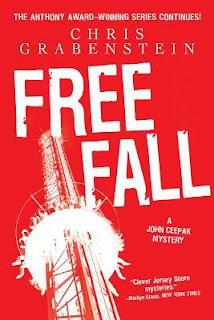 But nothing is going to stop the inevitable free fall, because events are moving along like a force of nature and Danny is called upon to use all his skills to prevent disaster. The story crosses the finish line with intensity. Sometimes, one of my reading choices tends to get stuck in the middle of the pack and gets a lot of dirt on its face. Somewhat like Orb actually. 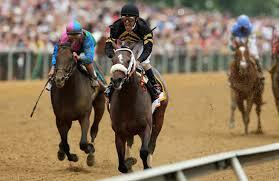 Orb came to the Preakness with a great track record, having won the Run for the Roses a few weeks ago. Similarly, Charlaine Harris has a tremendous record with several very successful series under her belt. Dead Ever After is the last of the Sookie Stackhouse series and, as such, came with tremendous expectations. 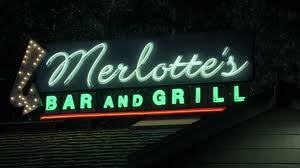 Some fans also follow the TV series, True Blood, and they have their own set of expectations. 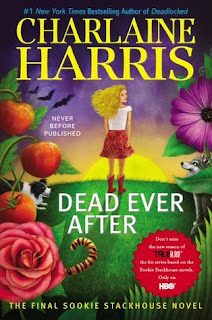 In Dead Ever After, Sookie is coming off a great battle involving many supernatural forces, at the end of which she had to make a crucial decision about whom to protect. Her final choice is not a popular one; many think she backed the wrong horse, and the story begins with Sookie down in the dumps because she seems to have alienated her vampire husband Eric, her partner Sam, and her witch friend Amelia. When an ex-friend Arlene comes around to Sookie's workplace, Merlotte's, asking for a job, she gets turned down flat, but before the next day dawns Arlene is dead and Sookie is suspected of murder. In this finale, all of the people and creatures Sookie has helped in the past are spurred on to help her clear her name. One of the main themes of the series is the jockeying for position in the race for Sookie's heart by several suitors. Eric, Sam, Alcide, Quinn and Bill have all been in the running at one time or another and if my odds-on favorite seems to lag behind, I can't use that as a criticism of the work. The main hurdle for me was a dark-horse evil power that has entered the field to keep Sookie from going the distance. I am not sure why I could swallow the vampire idea and then cavil at other influences, but I did. Go figure. At the wire, all the loose ends were reined in but I was saddled with a bit of sorrow over the demise of a great series. Then there are those books that seem to start slowly, like Secretariat used to do, and I go back to them several times before they get into their stride and surpass all others in the pack. 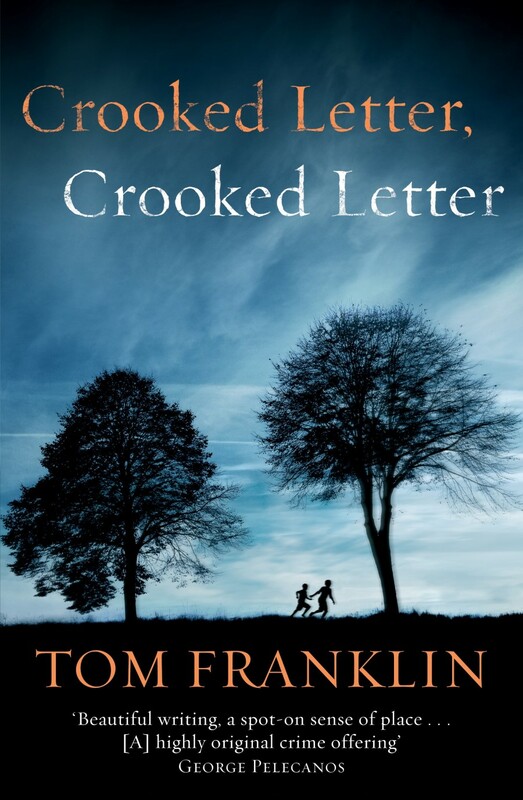 Crooked Letter, Crooked Letter by Tom Franklin was like this. 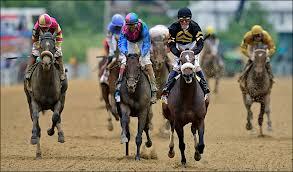 Slow out of the starting gate, the story ambles along as two men are introduced. One is Larry, the son of a white small landowner in rural Chabot, Mississippi, who spends his childhood trying to be a help to his father. 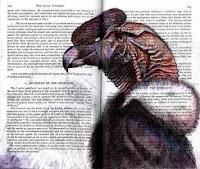 Larry's father rejects him most of the time, so Larry loses himself in books and horror stories. As an adult, he is a shunned outcast because he is presumed to be responsible for the disappearance of a girl he had his only date with. 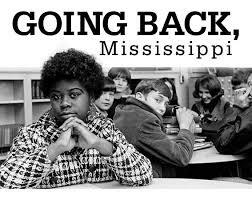 Silas is a transplant from Chicago, coming back to this small southern town with his African-American mother to a place that was familiar to her. They are dirt poor, but Silas finds a way to be successful in school because of his athletic ability. 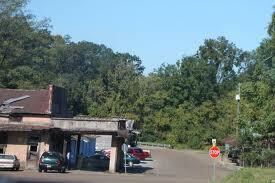 Later on, he returns to Chabot as a constable and he is remembered fondly by his sobriquet "32." Silas has not seen Larry in years, and makes no attempt to meet him until now, when he calls in a professional capacity. Now, another girl is missing. "Scary" Larry is slowly atrophying from lack of human interaction, so when an intruder shoots him he is ready to die. Silas doesn't want to come a cropper in this case, because he wonders if he had been unfair to Larry when he was too busy to answer urgent phone calls. Once, though, these boys were friends, albeit secretly. 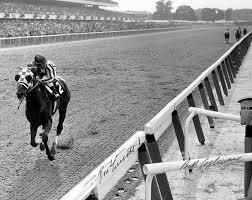 In this time and in this place, comradeship between the races was verboten. Silas was the one boy who really knew Larry, but now he lives with decisions he made long ago. This is a story that does not have a predictable outcome. It is filled with flawed characters who seem to be surrounded with sadness. But then the plot picks up speed and once Franklin delves into this duo's shared history and shared secrets, the novel catches fire and down the stretch it goes. Filled with lyrical prose that is almost poetic made reading this book a memorable experience. Note: I could not have written these reviews without the help of sports metaphors.